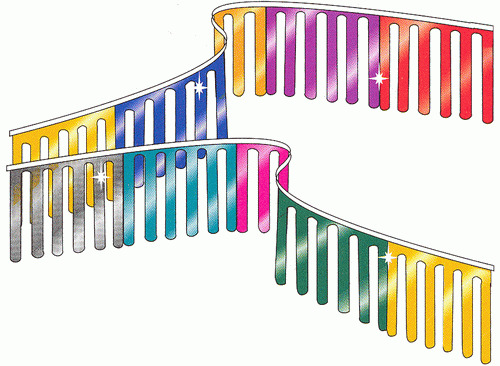 These high-impact metallic-colored streamers on a 30-foot string are delivered to you in a wide variety of colors and color combinations. Take a look and decide on the color combination that meets your business or event needs. Look through the gallery to the right.